Following the implementation of the EU ICT Directive on introduction of an EU intracompany transferee (ICT) Permit, Croatian authorities have regulated the existing ICT permit option in more detail. The new permit will apply to non-EU qualified managers, specialists and trainees temporarily assigned from an entity outside the European Union to an entity in the same corporate group in Croatia for over 90 days. Following the implementation of the EU ICT Directive on the introduction of an EU intracompany transferee (ICT) Permit, Croatian authorities have regulated the existing ICT permit option in more detail. The permit applies to non-EU qualified managers, specialists and trainees temporarily assigned from an entity outside the European Union to an entity in the same corporate group in Croatia for over 90 days. The ICT Permit is available for managers and specialists who have worked at a sending entity in the same corporate group as the host company for at least nine months, or six months for trainees. Managers and specialists must meet experience requirements and trainees must have a university degree. Employers must pay ICT Permit holders at least the Croatian minimum market salary and must meet other employment and social insurance conditions. No labor market test is applicable to the ICT Permit category. Recent legislative amendments, however, state that the government may introduce a quota for ICT Permit holders. The ICT Permit can be issued for an initial duration of up to three years for managers and specialists and up to one year for trainees. After this initial period, the foreign national must leave Croatia and can only apply for a new ICT Permit from their non-EU country of residence after a six-month cooling-off period. Initially, the processing time for the ICT Permit is expected to be between 60 and 90 days. Under the new law, foreign nationals in possession of an ICT permit issued by another EU Member State will be able to work and stay in Croatia for up to 90 days in any 180-day period. The sending entity must notify the Ministry of Labour and Pension System before the foreign national starts working. For stays longer than 90 days in a 180-day period, the sending entity must apply for a Mobility ICT Permit. Further information on the process and requirements should become available in October. The intended stay in Croatia may not be longer than the stay in the other EU Member State issuing the initial ICT permit. Qualifying dependents will be able to join the ICT Permit holder for the duration of the assignment in Croatia, and may be permitted to work there. The new ICT Permit should benefit eligible foreign nationals who seek to work in several EU countries. Interested applicants should consult their immigration professional about the specific requirements for ICT permits in each EU Member State where they plan to work, as these could vary. 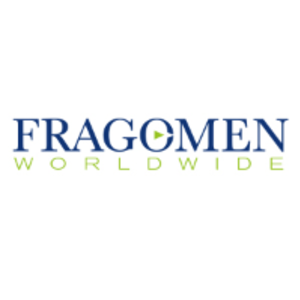 Fragomen can support clients to plan an immigration strategy across Europe. This alert is for informational purposes only. If you have any questions, please contact the global immigration professional with whom you work at Fragomen or send an email to emea@fragomen.com.